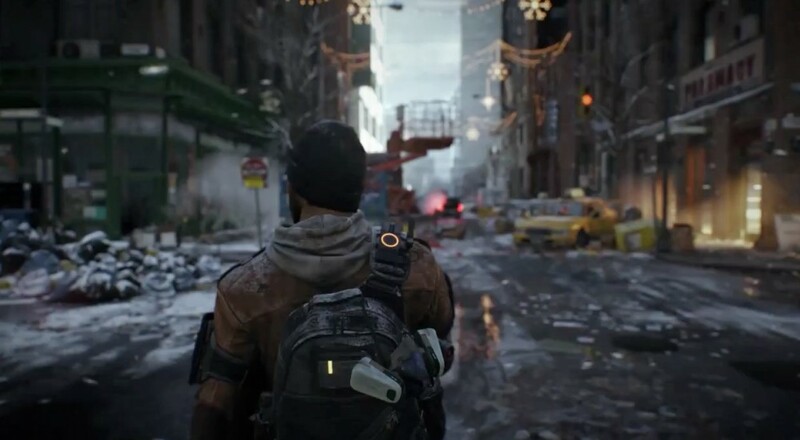 Tom Clancy's The Division is finally here. It is an actual, real thing that you can buy and play. In fact, it's so real and actual that we'll be playing it tonight and streaming out all of our misadventures on our Twitch channel; so be sure to tune in later for that. In the meantime, Ubisoft recently detailed what's in store for the game after release. There are a total of five expansions planned thus far for The Division; two of these will be free updates for all, and the other three will be paid DLC. The first free update, titled "Incursion," will add a raid event to the game. The endgame activity is "designed for squad play" and pits players against strong foes for some unique loot. That same update will also add "loot trading" to the game that will allow players in the same squad to freely trade any gear they've acquired since teaming up. The next free update, "Conflict," arrives in May and will add a new "Dark Zone" event and a new "incursion" event. For anyone who picks up the Season Pass (which will cost you $39.99), or has purchased one of the game's special editions, you'll eventually get the three paid expansions: Underground, Survival, and Last Stand. It's not altogether clear what the Underground will entail. It's described as hunting enemies "in the vast mazes of tunnels and subways that run under Manhatten," so this could be another raid event. Survival sounds like a kind of Dark Zone event where you're tasked with gathering supplies to survive, but someone on your squad could go rogue and take all the progress for themselves. Finally, Last Stand sounds like a horde mode with defense/turret building. It should be noted that Ubisoft announced just yesterday that the first two of these expansions, Underground and Survival, will have a 30-day exclusivity period on the Xbox One, starting from their release date. To timeline that out a bit, if Underground launches the first week of June, PC and PlayStation 4 players won't be able to play it until July. Exclusives tied to a specific console are nothing new in this business, but letting players know the day before the game comes out? That's a pretty big bombshell to drop on folks after they've already forked over their money. Tom Clancy's The Division retails for $59.99 for the standard edition, or $99.99 for the gold edition.